A bumper year is expected for sockeye salmon returns in B.C., but warm waters may results in lower numbers. Nobi Fujita, clicks off a series of photographs as hundreds of sockeye salmon swim, thrash and jump along the Adams River in B.C. 's Shuswap region, northeast of Kamloops. "They fight until the end," says the Japanese tourist about their 450-kilometre return here from the ocean, via the Fraser and Thompson rivers, to spawn and then die. Adams River is one of the best places in B.C. to see the natural phenomenon — masses of sockeye that have turned bright red — and their return is one the largest in North America. Numbers peak every four years, with millions of fish crowding the stream beds, and 2018 is such a peak. Despite worries from experts that the numbers might by lower than expected, Ron Dennill brought his grandchildren to take a look. "The last time I was here there were so many salmon in the water, you could pretty much walk across the salmon to the other side, there were so many out here," he said, adding that the return does seem lower this year. Fisheries and Oceans Canada forecasted as many as 14 million sockeye would return to the Fraser River in 2018, but scientists warned in the summer that warmer water in B.C. 's ocean and rivers have coincided with low sockeye survival the past three years. In the fall of 2017, a federal committee on endangered wildlife in Canada found eight populations of Fraser River sockeye are in decline and should be legally protected under species at risk legislation. Greg Taylor with the Watershed Watch Salmon Society says warmer water, pollution and fishing are all playing a role in the health of the sockeye and that there should be more restrictions on fishing. He says the multitude of salmon that do show up in the Adams River are an anomaly. "This is what salmon runs could be and salmon runs used to be," he said. 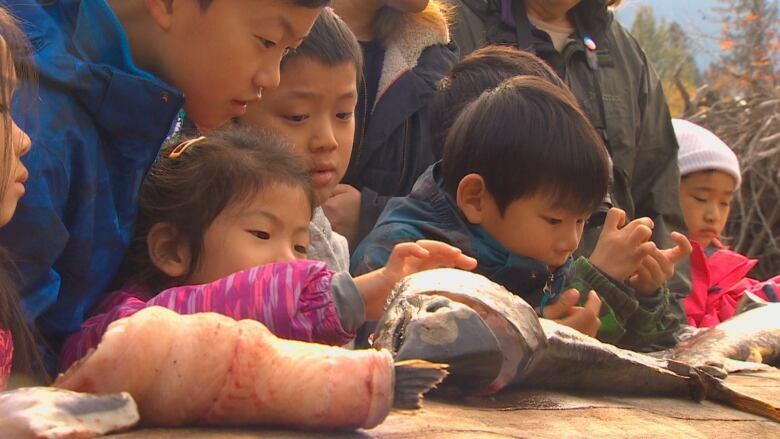 On Friday, the provincial government's Wild Salmon Advisory Council published a report which identifies the important role the fish play in B.C. 's ecosystems, but also its economy. It makes 14 recommendations that support the health, habitat and management of wild salmon, as well as the sustainability of the wild salmon industry. Meanwhile, Fisheries and Oceans Canada says more than 10.5 million sockeye have been accounted for so far this year. "We did have concerns, but overall the returns that we have seen have been pretty good and have provided fishing opportunities," said Jennifer Nener, the salmon director for the Pacific region. DFO says there are still sockeye waiting offshore to enter the mouth of the Fraser River. The agency says that's good news because they will migrate in cooler water, increasing chances of survival. With files from Briar Stewart and Chris Corday.